Christianity has certain values and beliefs that are predominantly valued among its various other values. These include atonement, compassion, forgiveness, and salvation. Similarly, the religion has a number of customs and practices it follows in a rigorous and traditional fashion such as baptism, a Christian rite of admission and adoption, into the Christian Church generally. This custom signifies the cleansing of sin and becoming a new person through Jesus Christ, and hence involves the practice of Christian values. 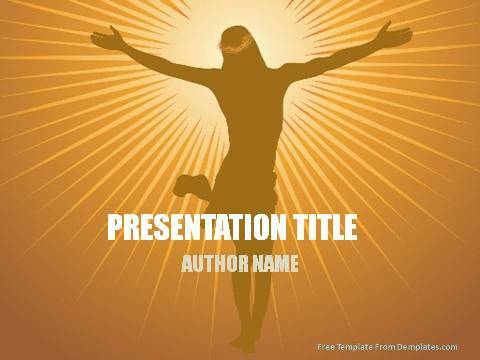 This free Christian Values And Customs PowerPoint Template can be used for making presentations on Christian practices at family gatherings on occasions such as Christmas, where concepts of sharing and caring are valued well and to teach children the importance of following such beliefs as well. 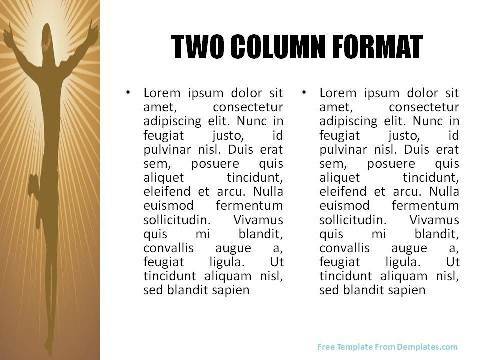 The template can be also be downloaded for use at church sermons on individual topics such as atonement, and for sermons on important chapters in Christian history such as the Resurrection of Jesus Christ. The template can also be downloaded to present lectures at seminars on cultures dictated by religions at schools and colleges, and used in church and Christian websites to distinguish the belief systems of the various Christian Church denominations, and the common values and traditions as well.